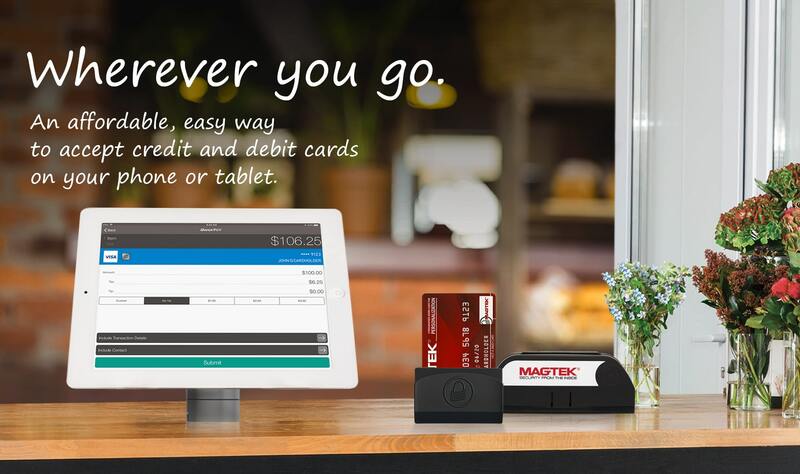 Accept magnetic stripe and chip* credit and debit cards anytime, anywhere. 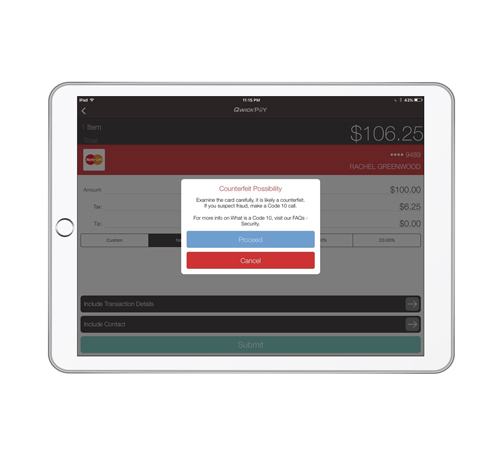 Transform your mobile device into an easy-to-use and highly secure point-of-sale. 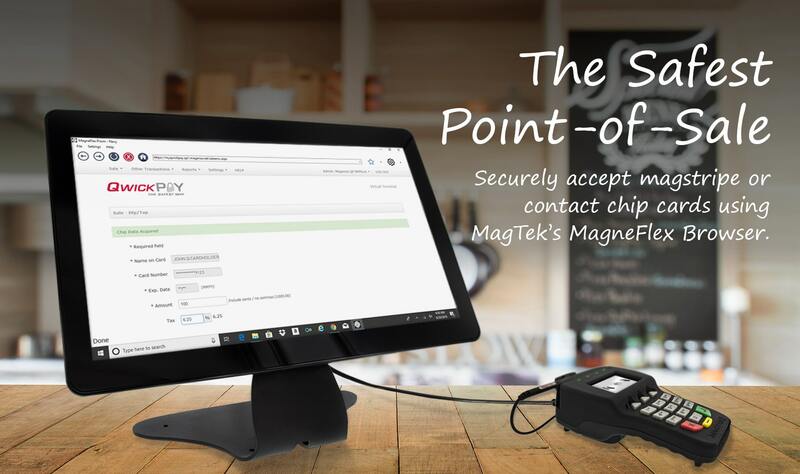 Encrypt sensitive data at the point of swipe, identify counterfeit cards before authorization, and stop fraud in its tracks. 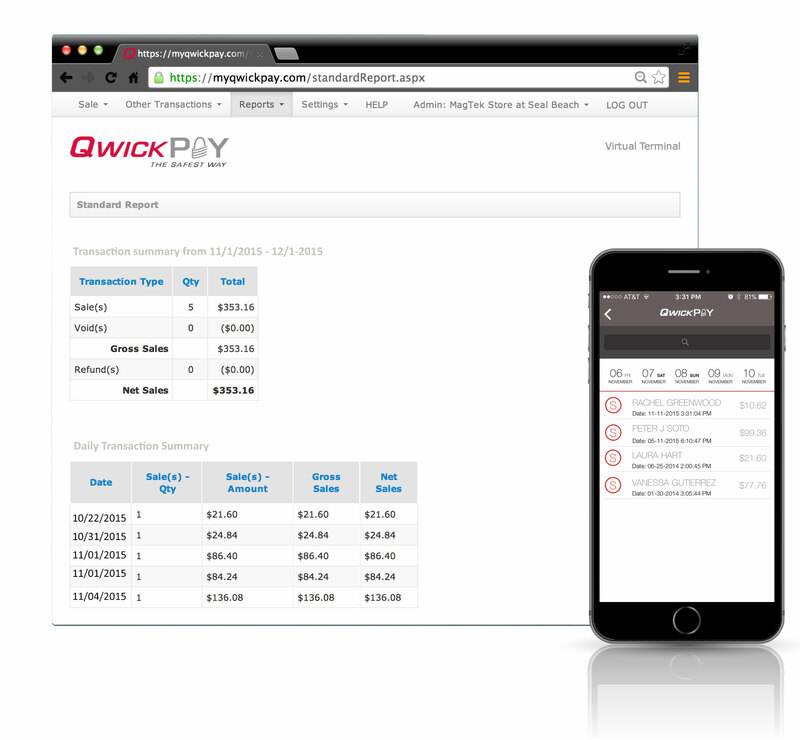 Which QwickPAY is right for you? Counterfeit credit and debit cards are on the rise and you shouldn’t have to pay for it. 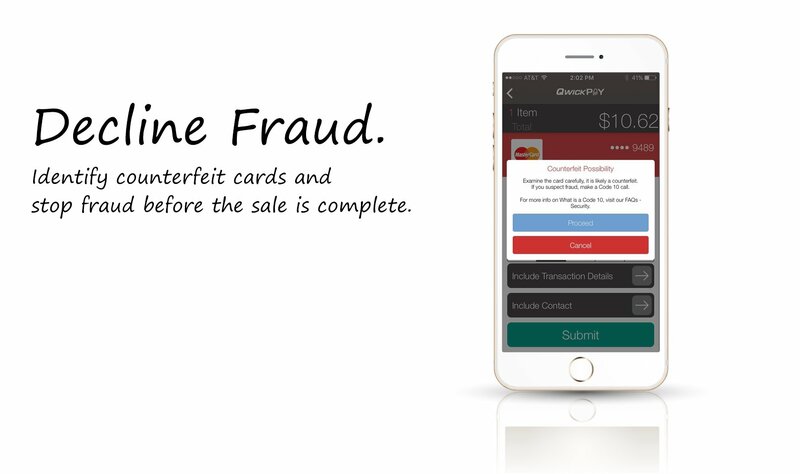 QwickPAY can identify fake cards and give you the ability to stop fraud at the point of swipe, before the sale is processed. And your customer’s sensitive card data is always encrypted at the point of swipe, so it's never in the clear. 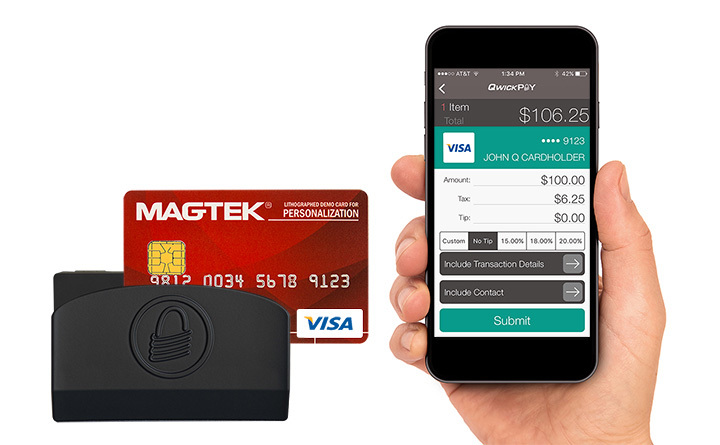 *As of September 2018, QwickPAY accepts Contact EMV cards.